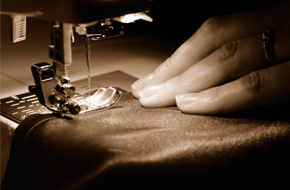 Founded in 2011, Kathleen O'Brien Clothing Alterations provides clothing alterations and couture services in the Limerick area. 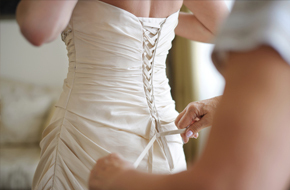 With over 30 years of professional experience in dealing with bridal wear, debs dress designs and general alterations, Kathleen takes great pride in her work and treats each customer as if they were her only customer. As she works from her own home off the North Circular Road in Limerick, Kathleen is able to offer a dedicated service to her customers and ensure every project is treated with the same attention to detail. Founded in 2011, Kathleen O'Brien Clothing Alterations provides clothing alterations and couture services in the Limerick area. With over 30 years of professional experience in dealing with bridal wear, debs dress designs and ladies wear, Kathleen takes pride in her work and treats each customer as if they were her only customer. Kathleen has built up a successful business providing these services to her valued customers.